September 10, 2018 12:00 pm. 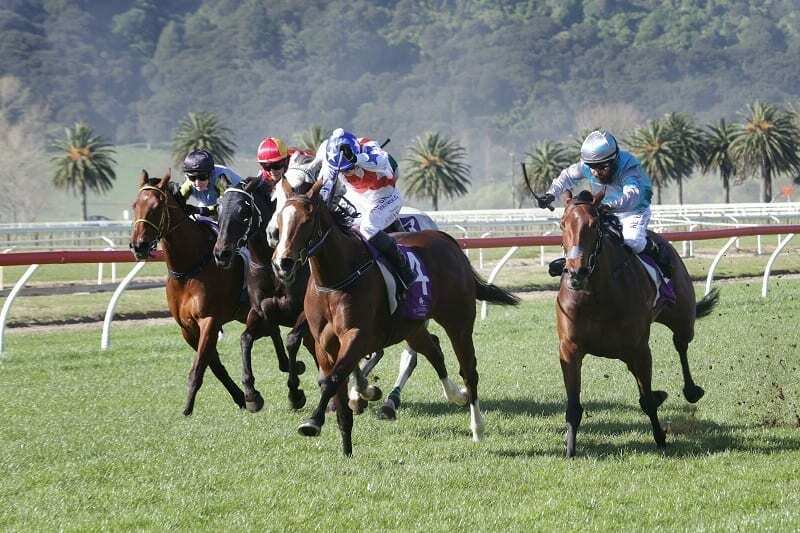 Quality Tavistock mare Galaxy Miss may be in her final season of racing, but that hasn’t put a stop to her winning ways, with the seven-year-old securing her eighth career win in the JRA Trophy (1400m) at Te Aroha on Sunday. The Danica Guy-trained mare jumped away well from her outside barrier in the six horse field to sit outside leader Waipipi Lad for the majority of the race. Galaxy Miss was headed down the straight, but rallied late to win by a long head over the heavily backed race favourite Hello M’Lady. “I thought it was a great effort,” Guy said. “She seems to be back to her old self. “She’s just been going through the motions a bit in the last couple of months. Once mares have come to the end of it, they have come to the end of it, but she seems to have revitalised a little bit.” Guy has put some of that credit down to the treadmill that she has recently had installed at her Matamata property, which along with a trial at Te Teko late last month readied the seven-year-old for Sunday’s race. Galaxy Miss has been booked in to be covered by Windsor Park Stud stallion Shamexpress this season, but her connections are hoping she can add some black-type to her page before she retires. “This is her last season racing and she’s going to be covered by Shamexpress,” Guy said.